Product prices and availability are accurate as of 2019-04-19 05:12:30 BST and are subject to change. Any price and availability information displayed on http://www.amazon.com/ at the time of purchase will apply to the purchase of this product. 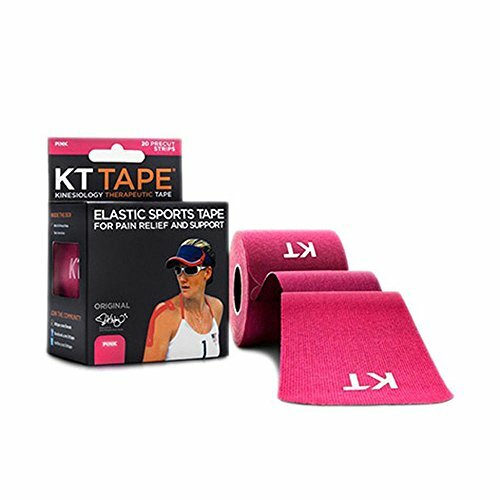 Strong, elastic KT (kinesiology therapeutic)) athletic tape reduces muscle pain, increases mobility, and enhances athletic performance. Made of reinforced 100% cotton sheaths designed to provide durability and increased strength. Best for light use and low-impact activities; 1 to 3 days of wear. 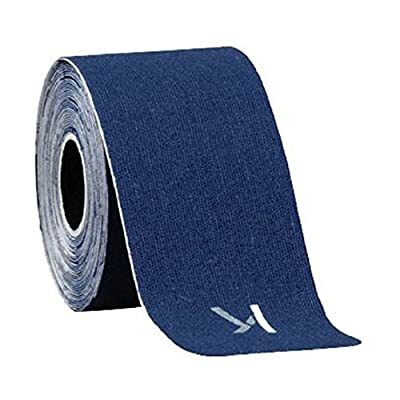 Uni-directional elasticity allows tape to stretch in length but prevents tape from stretching in width—provides stable support without restricting motion. 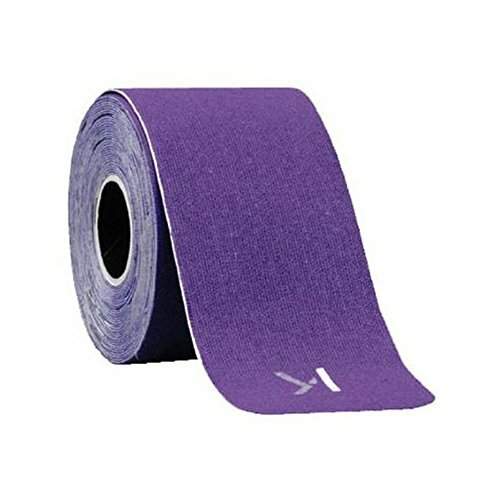 Applied along muscles, ligaments, and tendons (soft tissue) to provide a lightweight, strong, external support that helps to prevent injury and speed recovery. Provides 24-hour relief per application for days at a time. 20 precut strips attached together in 16 ft. roll (487.68 cm). Precut strips are ready to apply out of the box—no cutting required. Can be worn in the pool or shower without coming off. 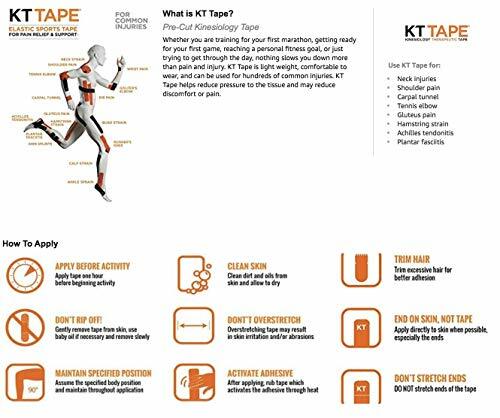 Includes step-by-step instructions on how to apply the tape. Store in a cool, dry, well-ventilated place; avoid extended exposure to direct sunlight.